Students play sports for a variety of reasons – for fun, to make friends, to get exercise, or maybe they are a natural and excel at a particular sport. In the U.S., more than 38 million children and teens participate in some form of organized sports. In 2013, a Safe Kids Worldwide survey of emergency rooms visits showed that more than a million times a year, or about every 25 seconds, a young athlete visits a hospital room for a sports related injury. Sports-related accidents not only involve young children; they can include college athletes, amateur athletes, professional athletes, members of your neighborhood gym, and event spectators. Sports activity-related accidents can occur during practices, instruction, games, and competition. Some sports are more dangerous than others. Contact sports have a higher potential for injury over non-contact sports. Common sports with injuries include basketball, football, baseball, cheerleading, soccer, volleyball, hockey, bicycling, gymnastics, boxing, and wrestling. Sports injuries can include cuts, bruises, strains and sprains, fractures, and dental injuries. Some injuries are serious or catastrophic like dehydration, concussions, traumatic brain injuries, Chronic Traumatic Encephalopathy (CTE), spinal cord injuries (Quadriplegia and Paraplegia) and even death. While playing sports or engaging in any athletic activity carries the risk of injury (accepted risk), some sports-related injuries and deaths are the result of negligent, willful conduct, reckless, and careless actions or conduct of sport leagues, schools, coaches, civic organizations, other athletes, and even bystanders and spectators. Personal trainers, gym owners, and sports coaches may be liable in Florida for injuries and accidents caused by their negligence, such as the failure to properly instruct, supervise, use proper and safe equipment, and take other reasonable measures to prevent harm. Sports-related injuries can also be the result of defective sports equipment or products (ex. helmets, workout equipment and protective gear) or a premises liability issue (hazardous or dangerous field conditions, a slip and fall, unsafe premises, etc.). 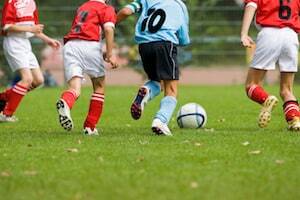 Sports and recreational accidents and injuries cases are often complex and can be difficult to prove. Let our attorney explain how the law might apply in your situation and guide you through the legal process. If you or a loved one has been seriously injured or died while playing a sport or working out at a gym, contact personal injury and wrongful death attorney Tami Wolfe online or call her today at (954) 791-0477 for a FREE consultation.